Quality Bed & Breakfast accommodation, in a quiet location but, within 10 minutes walk of the centre of Queenstown. 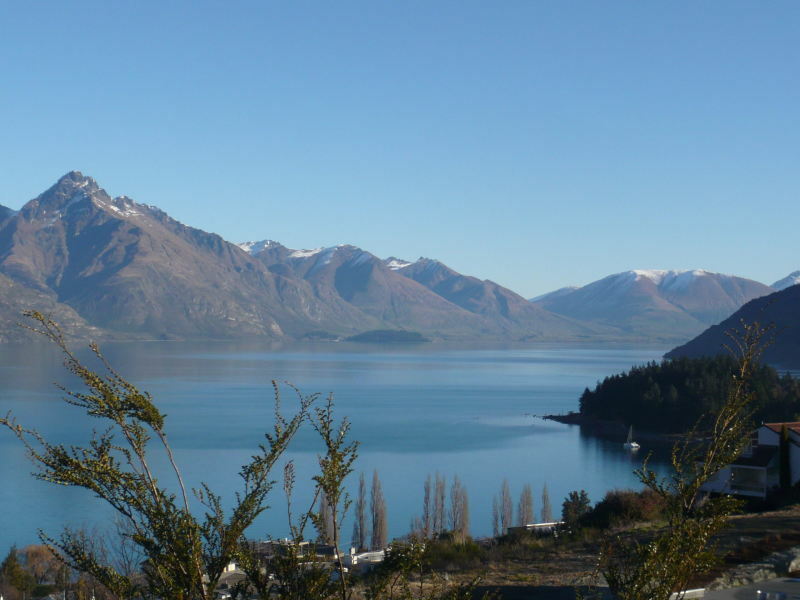 With panoramic views of Lake Wakatipu and the surrounding mountains. Recently refurbished rooms provide ensuite accommodation. The rooms are equipped with a safety deposit box, fridge, Sky TV, 100% cotton sheets/towels, wireless internet and tea/coffee making facility. The Lakes Bedroom enjoys the panoramic views as does the open plan lounge/dining room which is available for guests. The Earnslaw Bedroom has a patio door opening onto a small, outside seated area which provides private access. The Continental breakfast includes fresh fruit, juices, bread and croissants, cereals, yoghurt and a selection of teas and coffee. The many activities the surrounding area offers are close to hand be it the ski slopes in the winter, the adrenaline sports, tours to Milford & Doubtful sounds, wine trails, scenic flights, etc. Your hostess, Sue Wilson, would be pleased to help with advice and bookings for all the activities. Sue delights in making visitors welcome in her home, giving them the opportunity of enjoying the wonderful scenery from the comfort of her home - do be one of these visitors.